Silkscreened Lapel Pins feature a high quality silkscreen imprint on a custom shape stainless steel base. 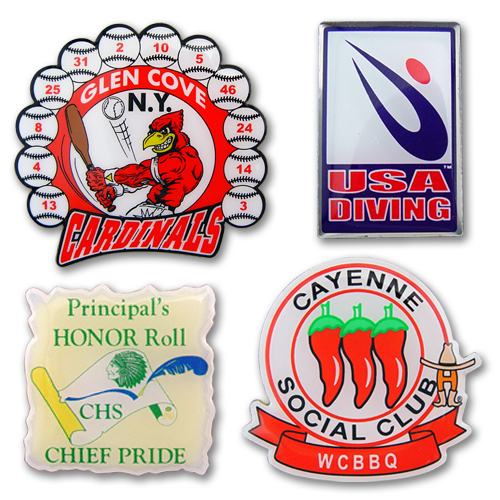 Ideal for trading pins or logo and pin designs that require color matching. * Silkscreened imprint with epoxy dome..
* Includes up to 3 spot imprint colors with FREE PMS color match. * Stainless steel base metal. * Your choice of standard metal butterfly or rubber clutch.